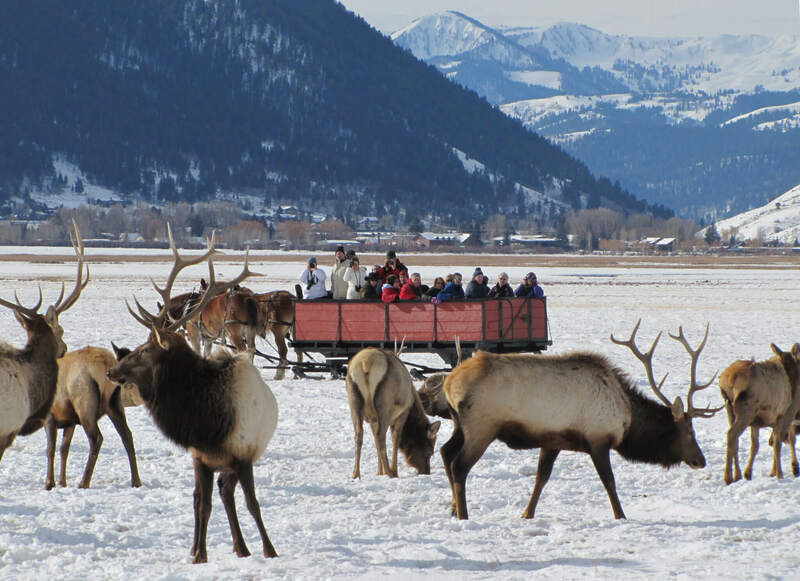 One of the best tours offered in the Jackson Hole area during the winter! Starting off at the Jackson Hole & Greater Yellowstone Visitor Center across the street from the Rustic Inn Lobby, you will be taken by bus a few miles up the road and loaded onto large horse-drawn sleighs. A knowledgeable guide takes you through the National Elk Refuge to get up-close-and-personal with thousands of elk that have migrated from their summer ranges for the winter season. Between the proximity of the elk and the beautiful mountain views, a camera is a necessity on this tour. This hour-long trip onto one of America’s premier wildlife refuges is great for everyone of all ages! Rides are offered daily from 10AM-4PM. Transportaton not provided.